DigitalShor: How to Price - When Somebody puts a gun to your head? How to Price - When Somebody puts a gun to your head? 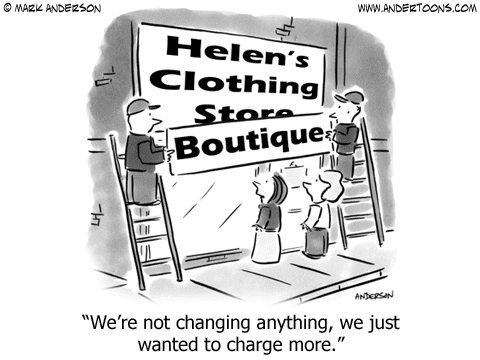 The single most important decision in evaluating a business is pricing power. If you have got business in which pricing can be raised without losing business to competitor, you've got a very good business. And if you have to have a praying session, before price hike even by 10%, then you have got a terrible business. Customer's are smart and appreciate value selling however, often pricing is usually an orphan child in the entire sales cycle and become extra critical in the last stages of sales cycle. What are your choices when someone puts a gun to your head? You take the gun, or you pull out a bigger one, Or you call their bluff or you do any one of a hundred and forty six other things. So this question is always on mind- How to distance yourself away from pricing? This article is an attempt to explore different ways or best practices for pricing especially when only approach you think is lower down your pricing. 1. Reducing Man Hours by 15 minutes per day for a 200 day job, can have a sizable impact in the Profits. This can be achieved by sharing resources in the project or using offshore- onshore combination. So, to sum up, planning of costs is very important and leaving anything to guess work may pinch you at final stages. 2. Sharing- Unused resources ( Internal and External):- A typical IT company has more than one projects going in parallel, optimization of skills and multitasking is key to BID aggressively for long term contracts. Furthermore, it's often an efficient use of company's resources to use in house personnel, when you can hire the work out. (:) My experience- This is seen as a good opportunity even at resource level to work on multiple, diverse projects. 3. Outsourcing and Managing Vendors:- Outsource non-core activities of the project to those vendors for which that set of non-core activities is core, this only help in both dimensions- cost effectiveness and efficiency. Make sure that you are getting the best value and that vendor is not passing along the costs of last-minute necessities to you. If above mentioned things are not working for firm, consider negotiating the scope of project- Can we implement the work in phases- Usually approach is to do set of activities, which can be managed without any hassle, this would give you time to go back to draftboard and make plans to tackle complex scenarios effectively.